If you are on tight budget and need a graphics card under 100 dollars for your gaming PC then you came to the right place. 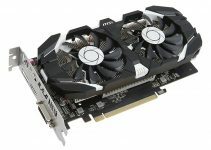 Not everybody can afford a high mid-range or expensive graphics card for their gaming PC but what you can do is pick the best budget graphics card under 100 dollars price range. 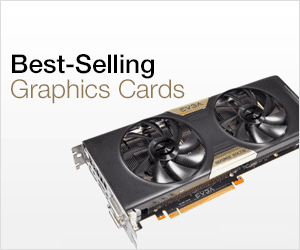 Mid-range graphics cards generally starts above 100 dollars and can go to up to 200 dollars or more. A graphics card under 100 dollars is enough for playing games at low-medium settings and you can run some older games at 1080p resolution too. These graphics card under 100 dollars are entry level graphics cards that consumes less power and are suited for casual gaming, 720p or 900p gaming, eSports gaming, video editing, photo editing, 4K video playback, running graphics intensive softwares and watching Full HD and Blu-ray movies. It is better to have a graphics card for any PC because onboard or integrated graphics does not offer the performance and features that a dedicated graphics card can. So here in this post I am going to list down the best graphics cards under 100 dollars from Nvidia and AMD for gaming and general use. All the below mentioned graphics cards supports DirectX 12 and latest Windows 10 Operating System. If you can increase your budget a little bit more then you can check out these graphics cards under 150 dollars. Here are the best video cards under 100 dollars from Nvidia for 720p or 900p gaming at medium-low settings. GeForce GT 730 is a budget graphics card that offers a great balance between price and performance. This card is not too weak and not as strong as the mid-range graphics cards, but it sits in between the two. 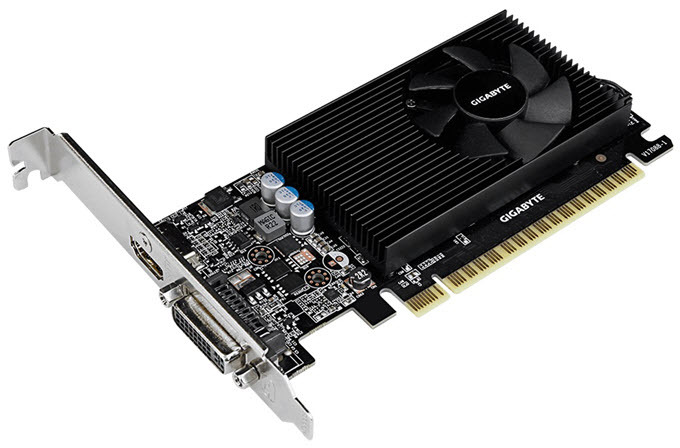 GeForce GT 730 is based on the older Kepler architecture but still packs some punch. Here we have the Gigabyte GeForce GT 730 that comes with 2GB GDDR5 VRAM. This is a low profile graphics card which means it is slimmer in width than a traditional full sized graphics card. The main advantage of low profile graphics cards is that they can fit in slim cases or low profile cases. It is also a single slot graphics card and consumes one slot on your motherboard. The card consumes very low power and you only need a good 300 Watt power supply for its working. Also, it does not require external power from the PSU. Even though it is a low profile GeForce GT 730 GDDR5 card but it has more power than the full sized GeForce GT 730 graphics cards with DDR3 memory. This low profile GT 730 graphics card is actively cooled with a fan and heatsink. It is a perfect budget graphics card for users who want more graphics power than onboard graphics and are into decent bit of gaming, video editing, photo editing etc. This card can run older games at medium graphics settings at decent resolutions. Latest and high-demanding games may be played at 720p (or lower) at low-medium settings. Games like Counter Strike, CS:GO, GTA San Andreas etc. will run more than fine on this graphics card. Connectivity options include DVI and HDMI port. So, if you are looking for a small & compact sized graphics card that is way powerful than onboard graphics then you cannot not go wrong with this one. GeForce GT 740 is an improved or advanced version of GeForce GT 730 graphics card. GeForce GT 740 is about one year newer graphics card than GT 730. The GDDR5 version of both GT 730 and GT 740 graphics cards have 384 Cuda cores but there is a decent performance difference between the two in which GT 740 leads. This is because of the two advantages that GT 740 has over GT 730. More ROPs & TMUs – GT 740 has 8 more ROPs (Render Output Units or Raster Operations Pipeline) and 16 more TMUs (Texture Mapping Units) as compared to GT 730. This results in higher pixel fill rate and better performance at higher resolutions. Greater Memory Bandwidth – The GDDR5 memory of GT 740 has 128-bit memory interface while the GDDR5 memory used in GT 730 is only 64-bit wide. This is results in comparatively higher memory bandwidth and ultimately better performance. GT 740 is also based on the Nvidia’s Kepler Architecture which is a bit older considering the fact that Maxwell and Pascal Architecture have already been launched earlier. The only downside of GT 740 compared to GT 730 is that it consumes a bit more power than GT 730 and requires a 400W PSU. 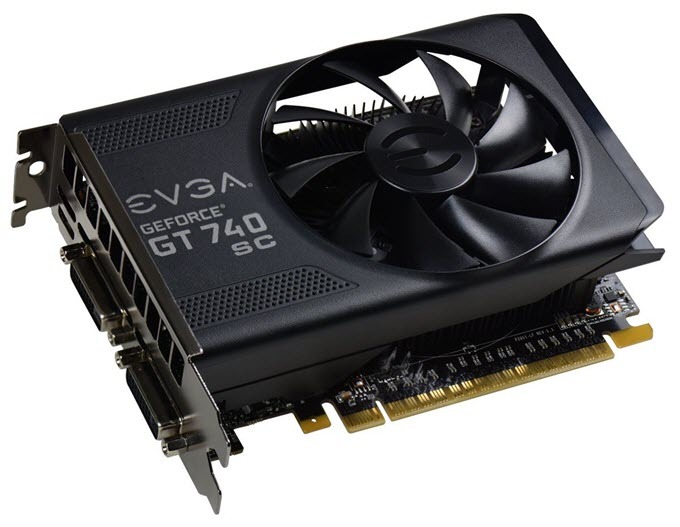 Here we have EVGA GeForce GT 740 GDDR5 graphics card that comes with 2GB & 4GB GDDR5 RAM. The 2GB variant will cost you under 100 dollars while the 4GB one goes slightly above 100 dollars. It is the Superclocked (SC) version which means it has higher GPU core and memory frequencies than the normal or reference design. This card has dual slot design which means it will require more space in your computer case. You can play games like GTA5, CS Go etc. on medium-high settings at high resolutions. It includes dual DVI and mHDMI ports as display connectivity options. So if you want a card that has better performance than GT 730 then you should go with this one. GeForce GT 1030 is the latest budget graphics card from Nvidia in the GeForce 10 graphics card series. The card is based on the Pascal GPU architecture and comes with 384 CUDA Cores. This is a great entry level graphics card and is more powerful than GeForce GT 730 and GeForce GT 740 graphics cards. GeForce GT 1030 graphics card is best suited for eSports gaming, video editing, HTPC, 4K display & video playback and it can also run some of the latest games on low graphics settings at 720p. Here we have ZOTAC GeForce GT 1030 2GB GDDR5 Low Profile graphics card which is a reference GeForce GT 1030 graphics card and it comes with 2GB GDDR5 memory. This is a low profile graphics card and has got single slot design. Also it is very compact in size and can fit in smallest of PC cases including mini-ITX cases. The card has very low powerful consumption and it does not require external power from the PSU. The connectivity options for this card include DVI and HDMI ports. You can overclock this graphics card a little using graphics card overclocking utilities. You may get this graphics card under 100 dollars for for budget gaming build. Here are the best graphics cards under 100 dollars from AMD for eSports gaming and for gaming at 720p or 900p. AMD Radeon R7 240 is an amazing budget graphics card that offers much better performance than the graphics cards in its range. AMD Radeon R7 240 is at par with GeForce GT 730 in gaming. GeForce GT 730 is a bit better than R7 240 because of slightly better GPU. 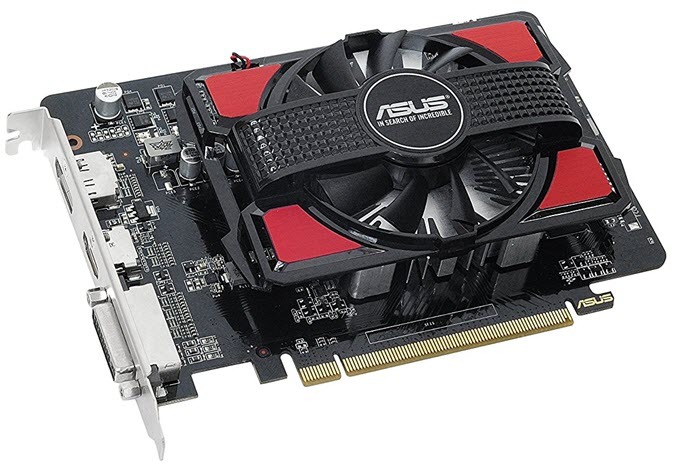 Here we have ASUS R7240-2GD3-L which is a low profile graphics card and comes with 2GB DDR3 memory. The memory on this card is a bit slower because it is only DDR3 and not even DDR4. The card features Dust-proof Fan design which increases particle resistance and extends card lifespan by up to 25% longer than reference. On this card you can play older games like Borderlands 2, Skyrim, Dead Island: Riptide etc. at medium settings on 900p or 720 resolutions. You can run the latest games on low settings on 720p or lower resolutions. This is a great budget graphics card for use in HTPC, Multimedia PCs for Video Editing and setting up multiple monitors. The card does not require external power connectors from the PSU. One other advantage of this card is that it is considerably cheaper than the GT 730. Connectivity options in this card include VGA, DVI and HDMI ports. You may check out the link below for its current availability. AMD Radeon R7 250 is the bigger brother of Radeon R7 240 graphics card. Radeon R7 250 is faster than the GT 730 but is a bit slower than GT 740. But the advantage of Radeon R7 250 is that it is cheaper than the GT 740 and the performance difference between the two is not huge. Here we have the ASUS AMD Radeon R7 250 graphics card that comes with 2GB GDDR5 memory and an excellent HSF (Heat Sink Fan). The Fan in this graphics card is dust proof and the company claims that it has around 25% more lifespan compared to others. 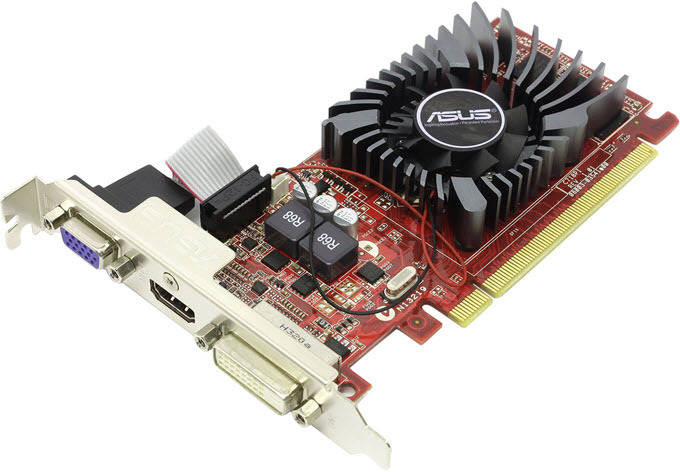 This R7 250 graphics card from Asus comes with AUTO-EXTREME Technology with Super Alloy Power II that ensures better performance, reliability and lower temperatures. It comes with GPU Tweak II graphics card overclocking software to increase its performance a bit further. This is a great budget mid-range graphics card and you can play games like CS Go, GTA 5 etc on medium-high settings at medium high resolution. Connectivity options include DVI, HDMI and DisplayPort. So if you need a good value for money card from AMD Radeon then you can definitely trust this one. You can also check out the 1GB variant of this card if 2GB one is not available in stock. Radeon RX 550 is unarguably one of the best graphics cards under 100 dollars. This newly launched budget graphics card is based on the latest Polaris GPU architecture from AMD and comes with 512 Stream Processors. This card can run latest games on low-medium settings at 1900 x 1200 pixels or 720p resolutions and older games at high graphics settings. 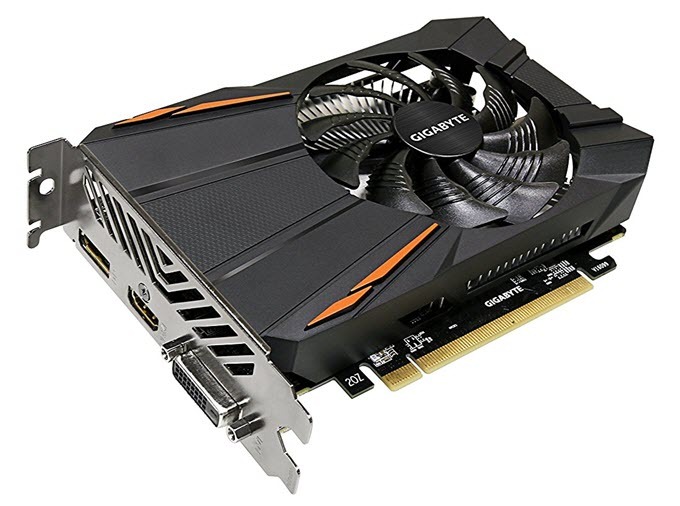 Here we have Gigabyte Radeon RX 550 D5 2G that comes with 2GB GDDR5 video memory. This is an OC or Overclocked RX 550 card which means it offers extra performance over the stock Radeon RX 550. For cooling, the card comes with one 90mm fan which keeps the graphics card temperature under control. The card consumes less power and does not require PCI-Express power connector and needs only a decent 400W PSU for its working. Various features include One Click Overclocking using AORUS Graphics Engine, supports HDMI 4K@60Hz and DP 8K@60Hz, Hardware-accelerated H.265 encode/decode and more. The size of the card is very compact and it can be used in mini-ITX cases as well without any issues. Well at the end I would like to say that I have listed down the best graphics cards under 100 dollars that can be used for gaming and other purposes. If you have any queries regarding them then you can ask me by leaving a comment below clearly stating your requirements. Thank you so much for these article, keep up the great work. Woah, that was a great article! I love the way you highlight the specific requirements to choose a graphic card. In my case a Low profile graphic card for mini itx. I have a dell inspiron 3650 i5-6400 SFF. The PSU is only 240W i think, my Intel HD Graphics 530 supports only VGA and HDMI. I need a graphic card for 3 or 4 independent monitors. I suggest you to go for Zotac GeForce GT 730 2GB Zone Edition. It is a passively cooled graphics card with lower power consumption and comes with VGA, DVI and HDMI ports. What’s the difference between the 2GB and 4GB version? Speed? No at all and for an entry level graphics card like this 2GB is more than enough. The speed benchmark for Geforce 730 seems to be lower than Intel 530 i have on my PC. 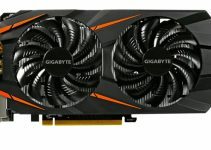 I would be happy to suggest you Gigabyte Radeon RX 550 D5 2G which is powerful budget graphics card but it needs 350 – 400W PSU. Can you upgrade your PSU? I haven’t thought about upgrading my PSU. Thanks! bought the 384 CUDA cores GT 730. I will update you later after the installation. How does EVGA 02G-P3-1733-KR compare with zotac ZT-71113-20L? Both are basically the same but EVGA one slightly higher memory clock of 1800 MHz compared to 1600 MHz of Zotac. I’m not a gamer but I’m looking for an itx video card to do some video editing. Currently I’m using intel graphics 630 that’s on my cpu intel i5 7600. What would you recommend? I saw that you were telling to everyone else’s queries so I’m gonna put mine forward. Amazon prime days are coming soon and I’m planning on buying a Gtx 1050ti or an Rx 560. Without the prime discounts, the Rx 560 is 1000 rupees cheaper. Which one should I buy, I’m specifically worried about the memory performance. GTX 1050 Ti is certainly faster than RX 560 and my choice would be GTX 1050 Ti only, but if you have a freesync monitor then it is better to go for RX 560 to take advantage of the FreeSync technology to reduce screen tearing in games. I suggest you to go for the GeForce GT 1030 GDDR5. Here are some good ones for your reference https://graphicscardhub.com/best-geforce-gt-1030/. I prefer Gigabyte GeForce GT 1030 Low Profile 2G. P.S. – Never buy the DDR4 variant of GT 1030 as its performance is half of the GDDR5 one, with price being the same for both cards. GT 1030 is a perfect choice as it is capable of gaming as well for a HTPC for watching FHD & 4K videos. Radeon RX 550 will cost you above 100 dollars without giving any major boost over GT 1030. I’m seeing some rx550 and GTX1030 for same price …. if that’s the case is the rx550 better? 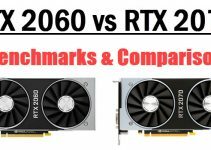 Yes RX 550 is better. Hi I’m using My HP Compaq 6305 SFF as gaming desktop. I want to play PUB G what do you recommend Low profile Video Card ?